DANNAR is an Original Equipment Manufacturer (OEM) of a mobile, off-road energy platform for the U.S. governmental market. 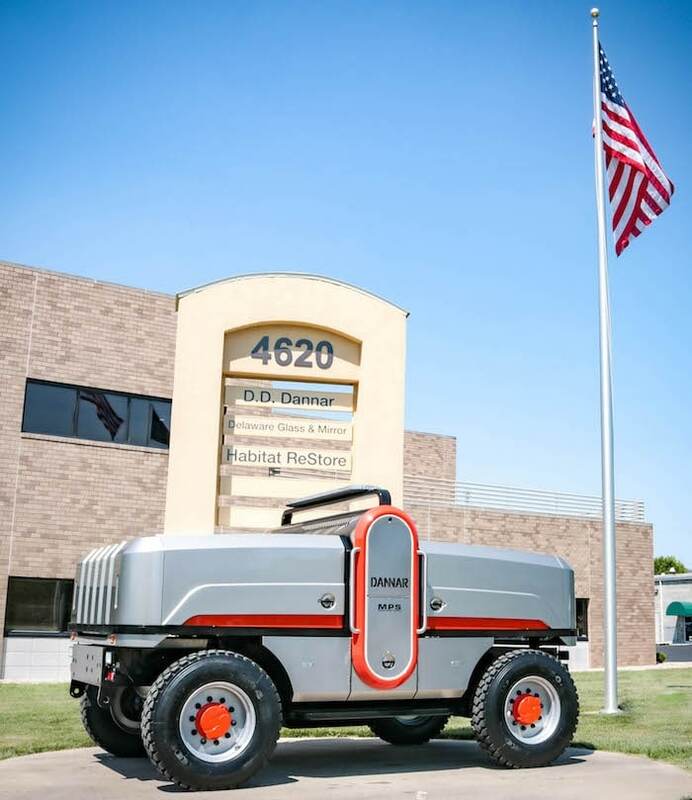 The DANNAR Mobile Power Stations® (MPS®) are revolutionary, multi-purpose vehicles, the first in a “new” class of electric work machines for all types of fleets. DANNARs provide powerful versatility to work year round in all areas of infrastructure maintenance, rapid response to emergency situations, and supplemental off-grid power when needed. Building the heavy-duty equipment and the workforce of the future. Empowering people to build and maintain quality of place. DANNAR thrives with high-performing teams at every level of our company, as well as our partner organizations and our community. Together, we serve our customers and end users. We rely on feedback from them to provide us with clear direction so we can jointly improve the quality of place and our world. At the core of DANNAR equipment and workforce is “Honor.” Honor is how we approach all facets of engineering, design, manufacturing and assembly, as well as our community and customer partnerships. It is with respect for our end users and capturing their knowledge of their unique needs that we allow them maximum flexibility to create DANNAR Mobile Power Stations® along with us. It is with honor that we stand with them; and together we serve our world. Innovation without discipline may have unintended consequences. Discipline alone can lead to feverish endeavors that run counter to societal balance. It is the blending of these core values of the human spirit that eventually provides our basic needs and greatest joys. At DD DANNAR, disciplined innovation is not just in our machinery, it is within our workforce and the many high-performing systems that allow continued stewardship of our environment. your fleet and transform your community. 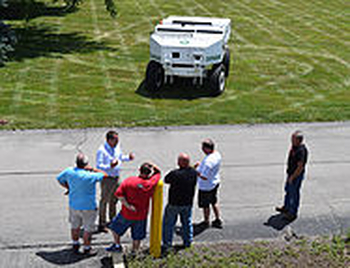 In July 2018 DD DANNAR executes a multi-state and private company demonstration schedule of the DANNAR 4.00 at multiple cities in California, Indiana, Colorado, and Kansas. In June 2018 showcases the DANNAR 4.00 in San Diego, CA at Hotel Del Coronado at the Advanced Automotive Battery Conference. In June 2018 begins a Midwest tour demonstrating the DANNAR 4.00 at the 2018 Society of American Military Engineers (SAME) Industry Day; at the SMART City Initiative in Columbus, OH; and at Wright-Patterson Air Force Base in Dayton, OH. In June 2018 DD DANNAR partners with RBI Solar of Cincinnati, OH to design and manufacture a new solar charging package for DANNAR 4.00 series. In June 2018 DD DANNAR joins Clean Fuels Ohio to implement clean fuel alternatives for Ohio transportation and fleets. In May 2018 first unit of the DANNAR 4.00 series is available for sale. In February 2018 DD DANNAR joins the League of California Cities to support advocacy and initiatives impacting quality of life for California Cities. In February 2018 DD DANNAR upgrades battery packs from 30kWh to 42kWh for new DANNAR 4.00 series. In January 2018 DD DANNAR joins Cal Start to support clean air by reducing greenhouse gas emissions. In January 2018 DD DANNAR engages a national advertising agency with experience in promoting disruptive products. The agency helped in branding and identified how DANNAR has established a new equipment/work category with the Mobile Power Station®. 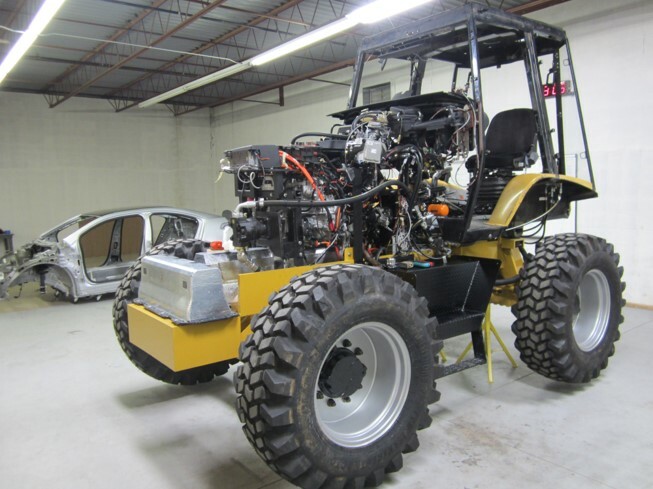 In December 2017 DD DANNAR receives preliminary grant approval from CARB for the Off-Road Advanced Technology Demonstration Project to accelerate the commercial deployment of zero-emission off-road technologies. The project demonstrates two new Mobile Power Stations configured as the first battery-electric 30,000-pound capacity forklifts for the Port of Stockton. In October 2017 California Air Resource Board’s proposal was given preliminary approval for two DANNAR Mobile Power Stations® for the Port of Stockton, CA. In September 2017 DD DANNAR submits Letter-of-Commitment to CARB to participate in the San Joaquin Valley Zero-Emission Cargo Handling Demonstration Project. In August 2017 DD DANNAR introduces the Mobile Power Station® America’s cities and municipalities at the American Public Works Association Exposition in Orlando, FL. CEO Gary Dannar thanks APWA members and leaders for sharing their desire for universal heavy-duty equipment in conversations over 30 years, saying that APWA members were the catalyst for and inspiration behind building the MPS. In August 2017 DD DANNAR and California Air Resource Board (CARB) begin discussions about eligible programs for the Mobile Power Station® to support of Zero-Emission Vehicle Initiatives. In the Summer of 2017 DD DANNAR begins the first in a series of private and public meetings with California state leaders about impacting Zero-Emission programs and Air Quality improvement. In April 2017 DD DANNAR’s Mobile Power Station® enters the California market at the Green California Summit and Exposition in Sacramento, CA. In February 2017, DANNAR’s second production unit rolls off of the assembly floor. By the end of 2016, DANNAR’s investment in the production of the Mobile Power Station reaches over $6 million, including $3.5 million spent with suppliers in Indiana and Delaware County. DANNAR’s payroll and payroll taxes exceeds $850,000. DD DANNAR’s Mobile Power Station® is listed on the General Service Administration (GSA) Schedule and California Multiple Award Schedule (CMAS). In September 2016, the MPS is showcased at Wright-Patterson AFB in Dayton, Ohio. In August 2016, DANNAR finalizes its first order with the Muncie Sanitary District, who will take delivery of the MPS in December 2016. In July 2016, the first production MPS is completed and sent to Washington, DC, for a demonstration at Joint Base Andrews and the Military Mobile Power Summit. In June 2016, commissioning of the system begins, but unfortunately testing verifies that the battery packs received do not meet required specifications for MPS production units. At the same time, DANNAR officials meet with, and later finalize, an agreement with a renowned, global auto manufacturer that can provide off-the-shelf, high volume battery packs from its electric vehicles. In April 2016, battery packs for the D2 MPS arrive in Muncie, nearly six months later than expected. DANNAR begins re-engineering the MPS in August 2015 to accommodate different battery packs and the on-board systems required to run the vehicle. This new re-engineering exercise allows DANNAR to design the new MPS with the ability to accommodate nearly any off-the-shelf battery pack system. As development of the new D2 generation MPS continues, DANNAR utilizes many Indiana supplier partners, including steel fabrication and welding from Delaware County companies. In June 2015, an agreement is reached with a new, overseas battery supplier that is starting operations in the U.S. Supplies of these new battery packs are expected by December 2015. In April 2015, Kitselman Pure Energy Park (KPEP, LLC) is announced. KPEP will redevelop a 50-acre brownfield on the former Indiana Steel & Wire (IS&W) site into a multi-use development for light manufacturing, residential and retail. DANNAR makes plans to relocate its operations to the KPEP development in 2018. This announcement coincides with the release of plans for the Kitselman Gateway trailhead, an initiative by the City of Muncie to beautify the areas south and west of IS&W and connect the Cardinal and White River Greenways. Throughout 2014, work continues on the D1 generation Mobile Power Station, which was being assembled in Greenville, SC, prior to DANNAR moving to Muncie, IN. The D1 MPS utilizes lithium-ion battery packs from an Indiana supplier that was one of the main drivers for DANNAR to choose Muncie as its new home. In February 2014, DANNAR moves into the Twoson Tool building to begin operations. In July 2013, DANNAR announces its plans to relocate to the former Twoson Tool building in Muncie to build Mobile Power Stations. In 2013, Gary is introduced to Muncie, Indiana, and the former Indiana Steel & Wire property, an award-winning brownfield that has been idle for years. By mid-2012, the initial prototype MPS takes shape and testing begins. The first MPS prototype is completed in December 2012. A focus on new technologies like the MPS take a back seat in South Carolina to more established and high profile business areas such as aerospace, medical software and transportation. In 2011, concept design begins on the MPS and SC Launch, a South Carolina economic development initiative, provides DANNAR with a $200,000 startup loan to create the first MPS prototype. DD DANNAR, LLC (DANNAR) is formed in February 2011 in Greenville, SC, by founder and CEO Gary Dannar. Gary also remains as CEO of Little Roadside Management in Greenville. 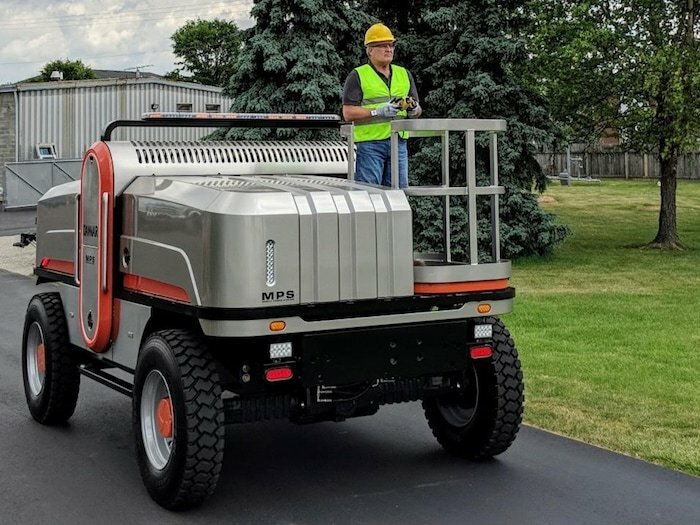 DANNAR is maker of the Mobile Power Station® (MPS), the first-ever electric off-road work platform for municipalities and government fleets. Gary forms his company with the vision to help resurrect a former manufacturing brownfield location into a booming redevelopment project that can provide new, high-paying jobs, convenient housing and improved quality of life for its workers. Have you seen DANNAR Mobile Power Stations in action? Safety, productivity, and return on investment, the DANNARs deliver exceptionally. Would you like to have an expert call you to discuss our Mobile Power Statopms® and answer any questions you may have?